Anyway, I'm going to try to blog/journal for 21 days. 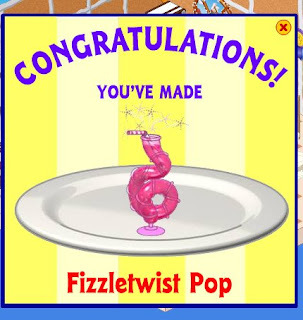 I also made fizzletwist pops for everyone in my webkinz friend list....(kaytebug2002). I'm trying to send a gifty to each kiddo (mostly from church) each week or so....just so they know I'm thinking about them. It took (using the stove) a cola, cream soda and licorice. Anyway, it's a random post...Thanks to Sally. soooo fun, Kaylea!!!! I love reading your journaling!! this is gonna be fun!! Thanks for playing with me for the next 21 days! !